We have wanted to attempt making chimichurri for a while because there are so many fresh herbs available from the farm at Rockledge Garden’s, seems such a shame not to be using them in as many dishes as possible. So here we have some delicious pasta chimichurri. 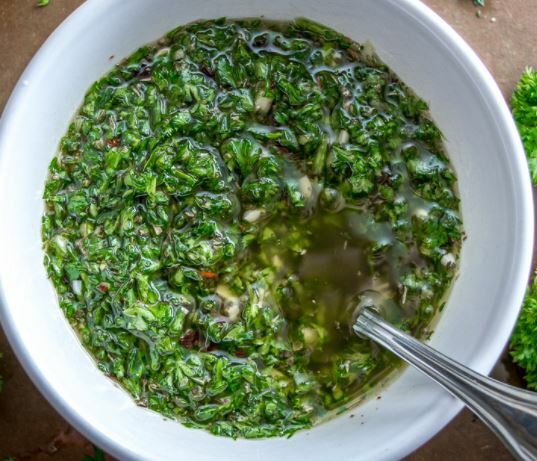 Chimichurri is an essential part of Argentinean cuisine where a fresh bowl of it can be found on every dinner table. 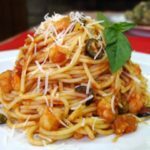 It is typically served with steak, but it’s also great on fish, chicken, even pasta and gnocchi. Really tasty and incredibly easy to make, our recipe features fresh parsley, garlic, oregano, chili pepper and tangy vinegar. 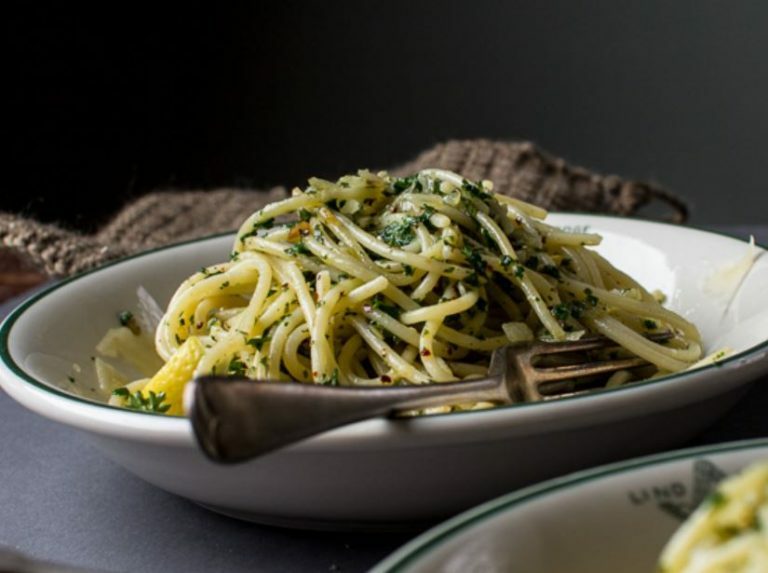 For now we are going to experiment with our pasta chimichurri recipe and are thinking we could replace the red wine vinegar with lemon or lime for a different and refreshing twist. First make the Chimichurri by combining all of the ingredients in a food processor and process until the sauce resembles a pesto. Check the seasoning and adjust to taste. Set aside in the fridge for up to 1 hour for the flavors to do their work. 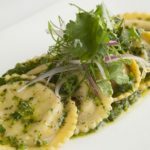 Once the chimichurri has had time to get itself ready, prepare the ravioli according to the instructions on of the packet. If you are using Pasta Nostra USA ravioli, you will cook it from frozen for up to 8 minutes. Place a small amount of chimichurri in the center of each serving plate. 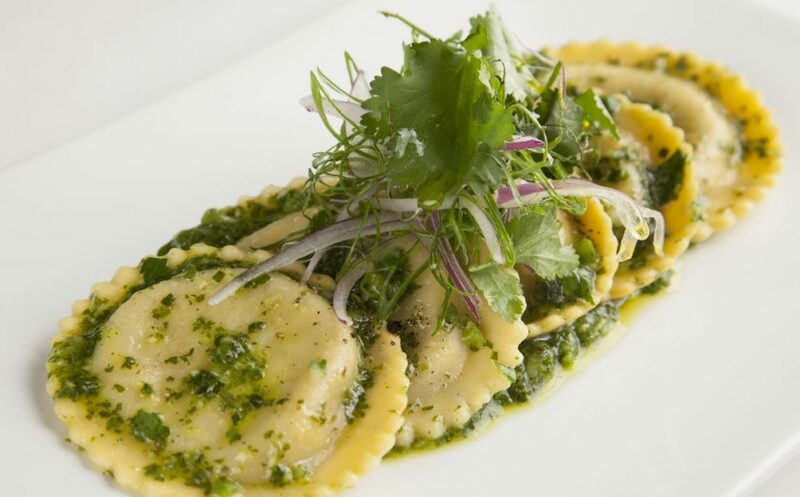 When the ravioli are ready, drain and while they are still hot toss them carefully in a little chimichurri sauce before placing them over the plated sauce. Serve with a little garnish of salad greens and cilantro.